Gideon Yu has had quite an illustrious career in technology, having been the former CFO at Facebook and before that, YouTube. Yu led the negotiations for the $1.65B sale of the latter company to Google. Last year, he decided to take the leap to sports and joined the San Franisco 49ers as the Chief Strategy Officer. In less than a year, Yu has gotten a promotion and it’s a big one. 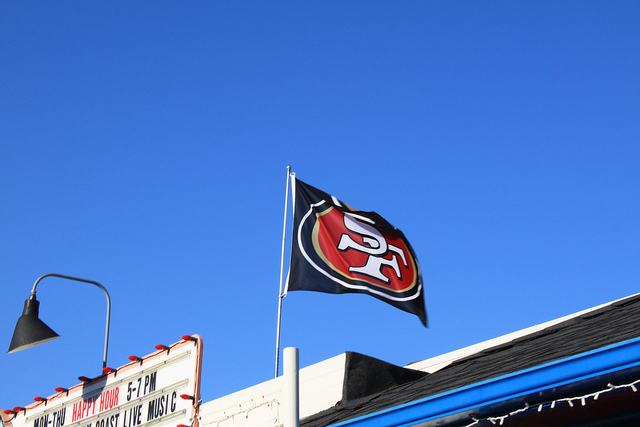 Today, the 49ers announced that Gideon Yu is now the President and Co-Owner of the team. Gideon brings us a truly unique set of experiences and talents, and he will be a guiding force in our drive to continue the winning tradition of this franchise. He’s both a visionary and the ‘go-to’ guy who can lead us through the enormous opportunities ahead such as, the stadium construction, expansion of our brand and its businesses, and positioning the franchise for the future. We have more to do now than ever before, and Gideon is the right person to get the job done. The San Francisco 49ers became the toast of Silicon Valley again after a stellar year that saw its head coach Jim Harbaugh win NFL’s “Coach of the Year” award in his first season at the helm. Unfortunately for those of us in downtown San Francisco, Yu is working hard on a Santa Clara stadium project, taking the 49ers further away from its core fanbase.